You know their hits—or at least you should: “Bye Bye Love,” “Cathy’s Clown,” “Crying in the Rain,” “All I Have to Do is Dream,” “Wake Up, Little Susie,” “(’Til) I Kissed You,” “When Will I Be Loved,” and “Bird Dog,” among others. 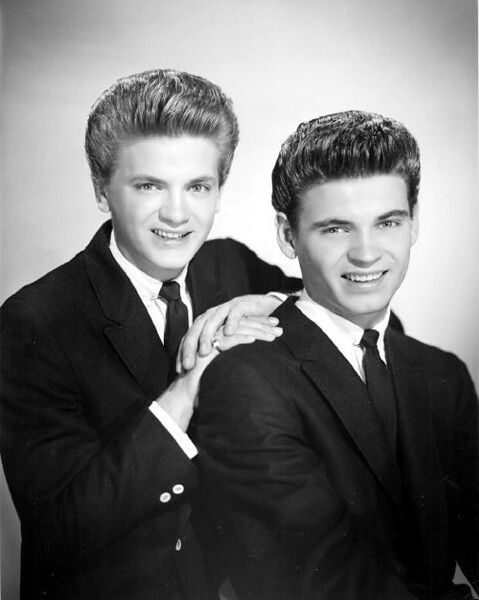 With their close familial harmonies and driving guitars, the Everly Brothers (Phil and Don) were one the defining acts of early rock ’n’ roll. But today their contributions are overshadowed by bigger names, like Elvis, Chuck Berry, and Little Richard. So it’s very cool that there’s an act like the Everly Brothers Experience featuring the Zmed Brothers, who keep the duo’s music alive and bring attention to it by performing only Everlys tunes—which they’ll do at the Bearsville Theater this Friday. Assembled in 2016 by brothers Zachary and Dylan Zmed and drummer Burleigh Drummond, the five-piece Everly Brothers Experience band has toured to eager audiences in America and overseas. “We are not impersonators,” say the Zmeds. “Our aim is to honor the aesthetics of their iconic sound and honor their unique place in music history, all while having a little fun telling our own personal story.” In case you’re not aware, besides being amazing artists on their own, the Everly Brothers were a massive influence on Bob Dylan; British Invasion acts like the Rolling Stones, the Hollies, and the Beatles; and punk/new wave-affiliated players like Nick Lowe, Dave Edmunds, and Mink DeVille. The Everly Brothers Experience featuring the Zmed Brothers will perform at the Bearsville Theater in Bearsville, New York, on August 24 at 7pm. Tickets are $25-$45. For more information, call (845) 679-4406 or visit http://www.bearsvilletheater.com/.